Hello! 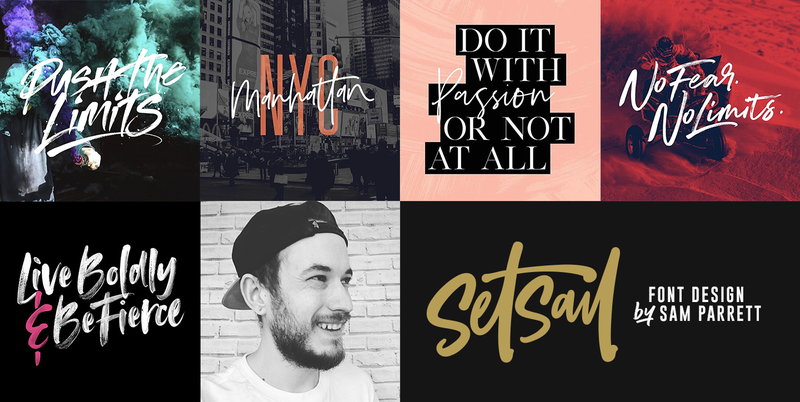 My name is Sam Parrett and I design fonts under the foundry name of Set Sail Studios. After spending 6 years as a freelance graphic designer in the music industry, I was ready for a new challenge. I instantly discovered a passion in hand lettered font designs, and launched my first typeface in 2014. Since then I’ve transformed my freelance business into a type foundry, with an aim to shake up the design world with a range of eye-catching, distinctive typefaces which break away from the generic letterforms. I am now pursuing this new passion of mine full time from my home studio in Bristol, UK. Some of my other loves include getting outdoors especially on my mountain bike, retro video games and plenty of tea & coffee (aka font fuel).